A part of each of us grew up in Mayberry, whether we knew it at the time or not. 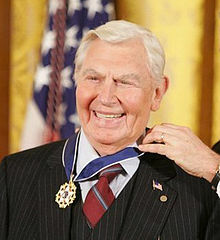 And today we learned that our Mayberry centerpiece, Andy Griffith, passed away at the age of 86. In memory – and in light of tomorrow’s holiday – we though this clip would be a fitting good-bye. It seems to sum up America, even today.